Got a short layover in Cairo but still want to see the Pyramids and the Sphinx? With this tour designed specifically for those on a short layover you can do just that! Your guide will pick you up from the airport and take you straight to Giza, with time to visit the adjacent sites before heading back to the airport for your onward flight. As per requested time according to to your Flight arrival details. 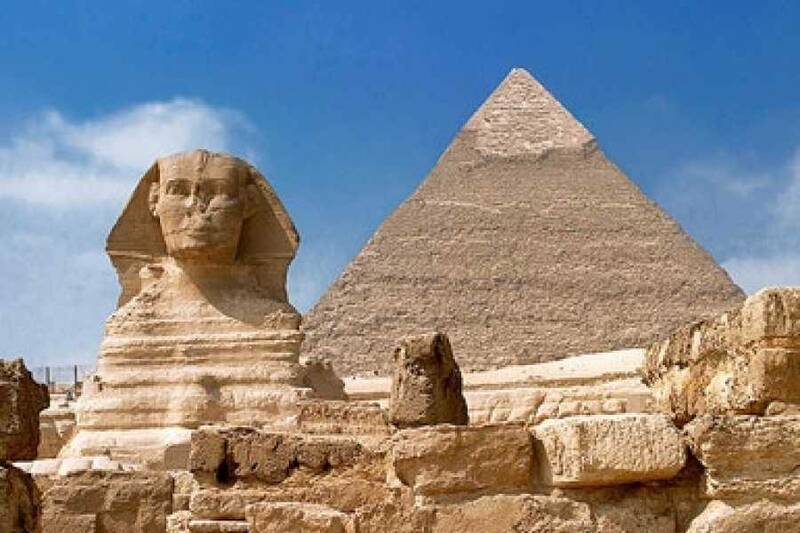 As per requested time start your with Short layover tour to Giza pyramids and Sphinx with pick up from Cairo airport by our professional tour guide who will greet you with a sign shows customer name on it outside the terminal at the street exit gate. then transfer to Giza City in Private A/C Vehicle arrival to Giza City. Start your half day tour visiting Cairo top attraction which is known as the Great Pyramid of Giza that has been Considered one of the seven wonders of the world. our guide will guide you and he will explain all historical points about the Giza pyramids and the purpose of being built for .End visit to Giza Pyramids by visiting the Valley Temple that also known as the mummification temple of king Chephren where his dead body was mummified also a few steps there is a causeway leads you to the see the Sphinx Statue one of the biggest statues in ancient history and is shape takes the body of lion and human`s head which is refer to power and strength. Then Transfer back to Cairo airport.